Made up of accomplished industry vets like Scott Sinclair, art director for the first 'BioShock', The Molasses Flood funded their first game on Kickstarter. 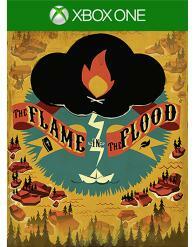 'The Flame in the Flood' generated over $250,000 in pledges in 2014. It failed to reach its PS4 stretch goal, but the "rogue-lite" is now available on PC and Xbox One. 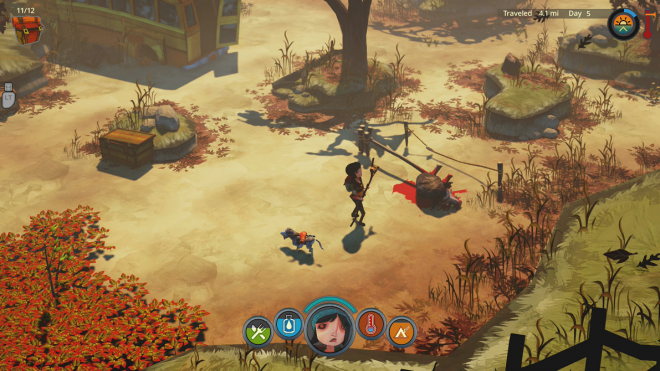 'The Flame in the Flood' is another entry in the crowded survival/roguelike genre. The premise of 'The Flame in the Flood' was great enough that I backed the Kickstarter campaign. I am a sucker for this genre. Prior to this review, however, I had only spent a little time with an alpha build of the PC version and had been lapse in following their progress, so I wasn't sure what to expect. Now I remember why I thought this was one to wait for. On foot, Scout must gather saplings, cattails, and lumber in addition to the things she needs to eat, like berries and meat. There are many afflictions that will befall the unprepared adventurer, from exposure to poison ivy rashes to ant bites. Scout can make everything she needs to heal herself if she has the proper materials on hand. Of course, the wilderness locations she visits are not without guardians of their own. Boars, wolves, snakes and other mean critters prance around these places, just waiting for a poor rafter to make their way ashore. They are also sources of materials, and important ones at that - without their hides, I was doomed to a playthrough filled with cold damage. The on-foot gameplay is by far the best part of 'The Flame in the Flood', and is clearly inspired by other survivals like 'Don't Starve'. The list of crafting blueprints is long and diverse, and I frequently found myself in deficit of just one piddly little resource, which of course could only be found at a different kind of location. So, Aesop and I loaded up our "piece of ship" and carried on down the river to the next church, campground, hardware store, or whatever else we could find to make our fortunes. Scout has trouble defending herself in hand-to-hand combat, so wolves and such are typically dispatched through trickery and long-range weaponry. I made spike traps and lured the nasties into it for easy and relatively inexpensive kills. Sometimes the locations were so full of wolves that I simply didn’t have the means to dispose of them, and I went further on down the river. There is a bit of a balancing issue in the risk-to-reward ratio. The places that had the most guardians didn’t necessarily have more resources; they were just as likely to be a bust. The animals themselves are a resource of course, but because uninhabited places had the same resource spawn rates, I could cherry-pick them at will, avoiding the more dangerous encampments to save resources. The game never really forced me to fight or use violence. Meat is one of the better food materials, but starvation, dehydration, and injuries never caused me a game over. They are easily managed and supplies are plentiful enough to create a stockpile for a rainy day. The only thing that killed me was the damn river. While in the raft, movement is on rails, albeit a slow and loosely guided set of rails. The currents change frequently, and dangerous rapids are common. Touching anything, however slightly, meant costly damage to the raft. The beginning raft in particular has trouble avoiding obstacles, especially in the rapids. The damage itself wasn’t really the problem, as I could quickly find enough lumber to make the repairs. The problem was the almost complete lack of marinas along the river. Only at the marinas are repairs possible, not to mention upgrades, which are expensive but potentially game-changing. I would cruise the river for days at a time, hitting every single kind of destination except marinas, over and over. I would also hit lots of flotsam and jetsam in the water because the controls are so sluggish, and the game became less about survival and more about dodging rocks until the next marina. But, if I could survive until around day 10 (2-3 hours of play or so), I could get an upgrade or two to my boat and the river became less frustrating. Then I was able to focus on more interesting things, like upgrading my tools and defeating more powerful creatures. The game gradually becomes more difficult every mile, until it is rare to stop somewhere without aggressive fauna. As survivals go it is suitably challenging and engaging, raft issues notwithstanding. 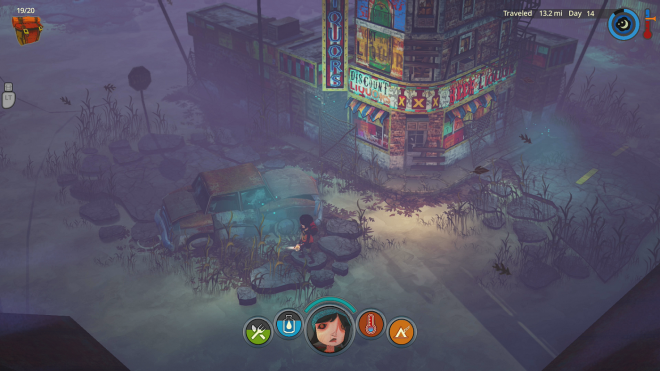 'The Flame in the Flood' looks like a lovechild of Neil Gaiman, Tim Burton, and 'Don't Starve'. It is a 2D world with swampy bayou environments and stylish, whimsical character models that are at once pretty and grotesque (only in artistic terms, not technical). There are some issues with the UI and especially the crafting menu, which is unwieldy for the Xbox’s controller to scroll through. A bit of practice makes it more tenable, but it’s not ideal. Visual bugs are relatively uncommon. The blues rock soundtrack, put together by Hot Water Music frontman Chuck Ragan with contributions from the likes of Fearless Kin, is absolutely stellar. Harmonicas, banjos, and drawly lyrics give an ethereal quality to the rough river rides. The music goes hand in hand with the audio design, and they sound right at home in the creole backcountry of 'The Flame in the Flood'. Sadly, audio bugs are common, such as effects carrying over in the background long after the events that initiated them have passed. The game offers two difficulty levels, a more forgiving one with sporadic checkpoints along the river in the event of death, and another that is true to the roguelike genre (i.e., permadeath). There is an endless mode in addition to the campaign, where stalwart river people can test themselves for as long as nature will allow. 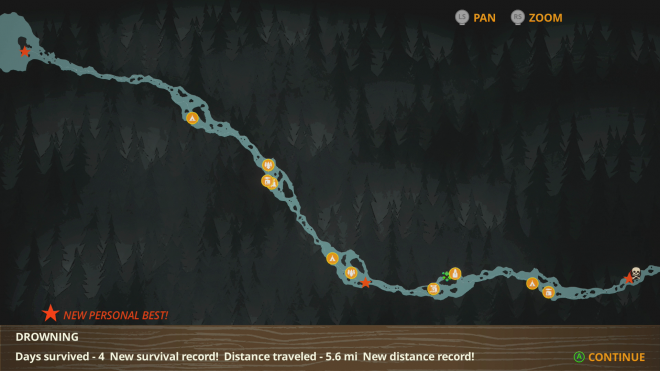 'The Flame in the Flood' hits the nail on the head with its crafty survival gameplay and inspired visual and audio design. At times, especially early on, nothing seems more dangerous than the river, but overall this might be game to get players into the roguelike genre. The technical side lags a bit behind the creative side, but not enough to capsize it.